His artwork has become famous and has highlighted the hardships and isolation of police work carried out by members of the Force. The image of the Force has been amplified by fictional and historical books, newspaper articles, movies, RCMP Musical Ride demonstrations and through artwork. As members on Detachment or veterans in retirement, they would seek out the calendars from the Northwest Printing company which highlighted different coloured images of the Force. 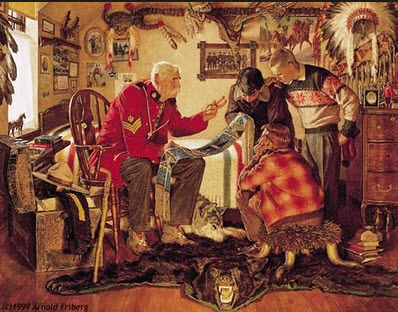 Each of these pieces of artwork were created by Arnold Friberg. The exhibition will include many of Arnold Friberg’s artworks as well as many other artists. 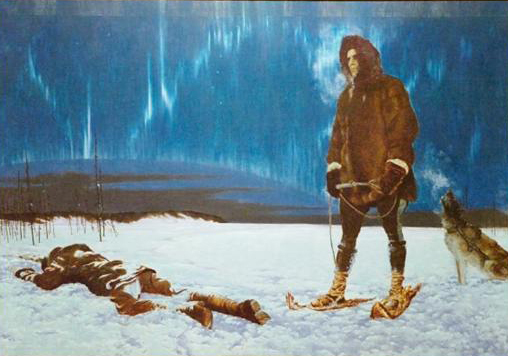 One such art work is entitled “Beyond The Law” by the famous Group of Seven artist Franz Johnston. For years, the above painting hung in the Senior NCOs Mess – “A” Block “Depot” Division. The painting has been restored and cleaned. 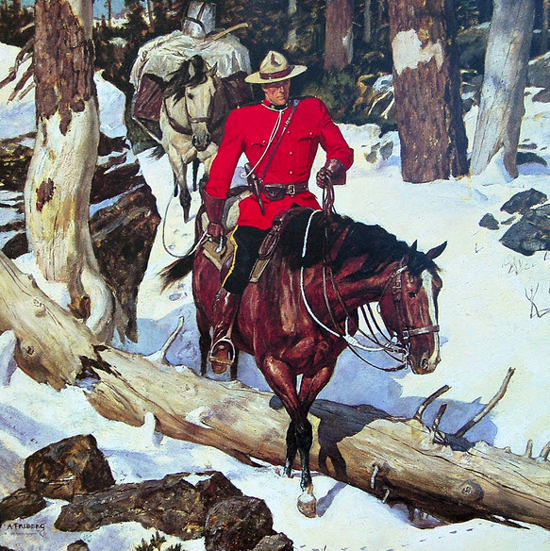 We encourage you to stop in and visit the RCMP Heritage and view this new exhibition. Your support for the Heritage Centre is greatly appreciated. COST: Regular admission prices apply. Photograph of the RCMP Heritage Centre in Regina, Sask.